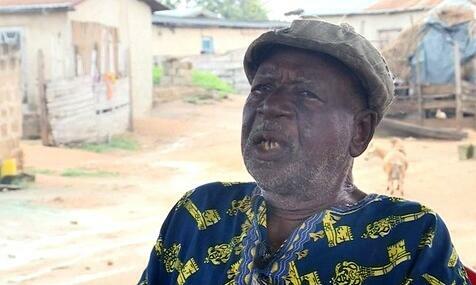 Tuesday, July 11, was World Population Day, and one man in Ghana, 80-year-old Kofi Asilenu, who is the father of 100 children by 12 wives, has reasons to mark his particular contribution. Kofi lives with his family in a village called Amankrom, a 45-minute drive from the capital Accra. His family make up a third of the 600 people in the village. His big family has, however, come at a cost. He says that he was well off financially, but his resources have mostly been drained due to the cost of raising such a large brood, even though he says now he gets financial help from his children. Kofi Asilenu looks physically strong and even says he is willing to have more children – despite having mistakenly proposed to one of his daughters three years ago. The embarrassing incident meant he was forced to apologise to her, explaining that he had an eye problem so he could not recognise her. As for his wives, they are all happy with the set up. Polygamy was preferred in Ghana, to have many children was seen as a symbol of wealth. However, things have changed with women having more control on deciding how many children they can have and also birth control measures have been promoted nationwide.